↑ (2013) "Austroasiatic", Glottolog. Leipzig: Max Planck Institute for Evolutionary Anthropology. 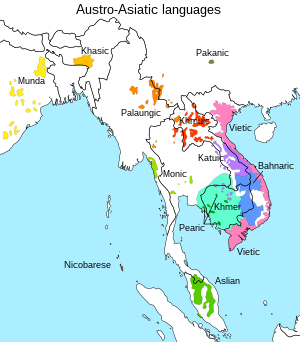 ↑ Bradley (2012) notes، MK in the wider sense including the Munda languages of eastern South Asia is also known as Austroasiatic.